We have a lot of great glass in the sale, but the colors on this piece are very special. 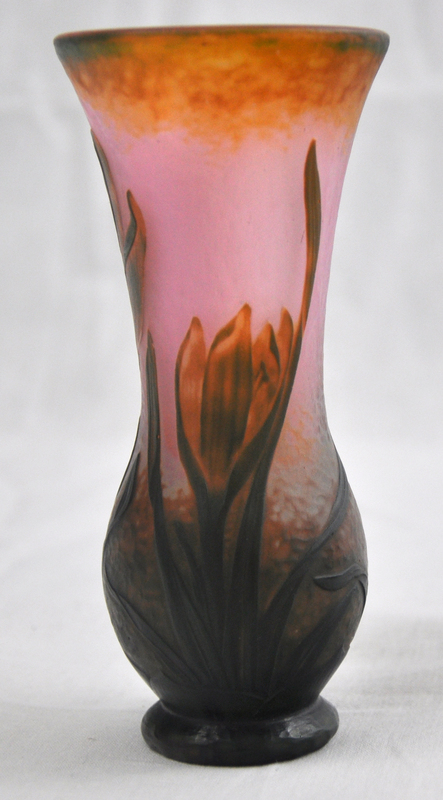 The base starts with a nice vegetal green showing what appears to be tulips in bloom. 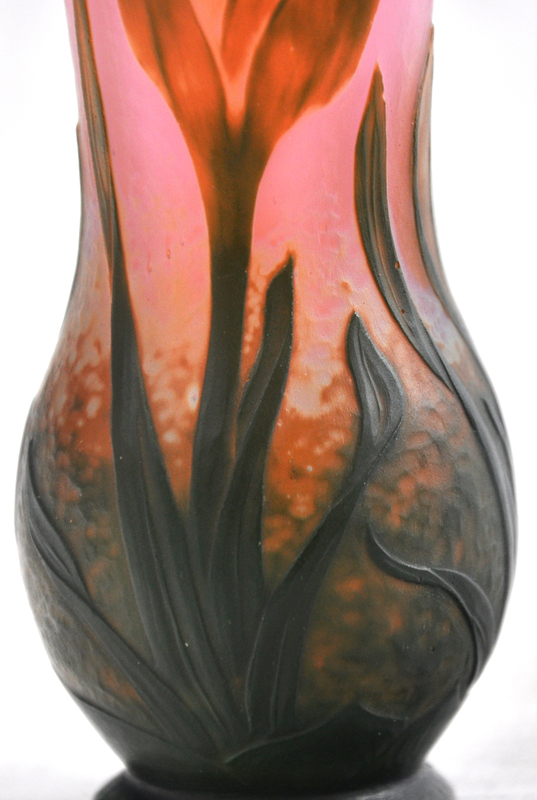 The flowers have a hint of orange and the vase's dominant top color is a lovely warm pink. Incised "Daum Nancy" and cross of lorraine on bottom of base. 5.5 inches tall.